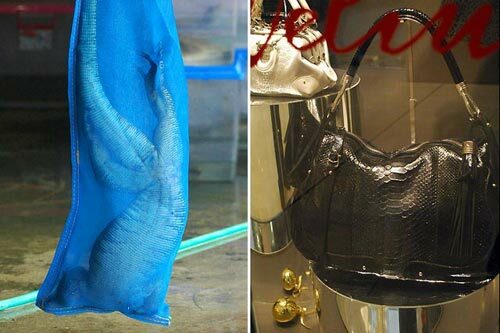 HomeWeird and OdditiesHow Python Exotic Leather Handbags Made? 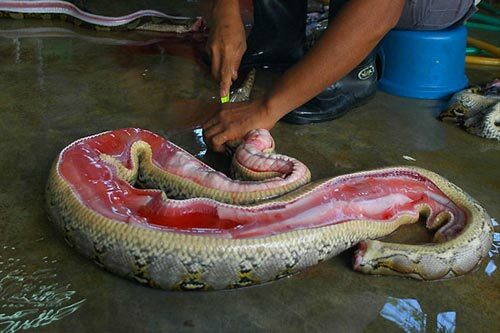 Python is a non-poisonous snake that is large and muscular. 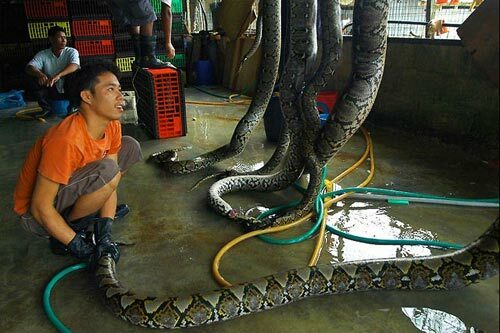 Being among the biggest and fearsome snakes in Asia, its length can reach up to 15 feet and weight up to 140kg. 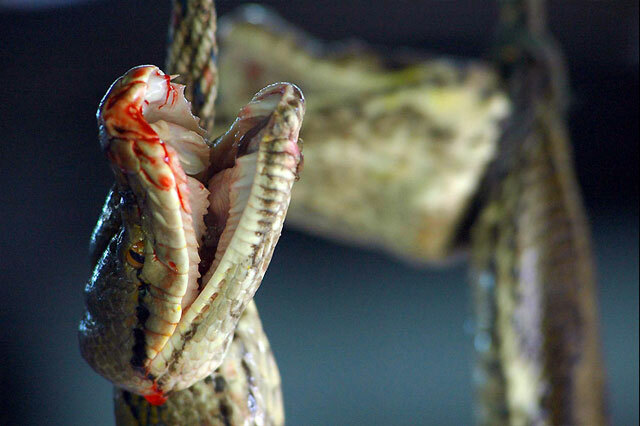 You might realize that actually there are some people who can live with python (LINK). 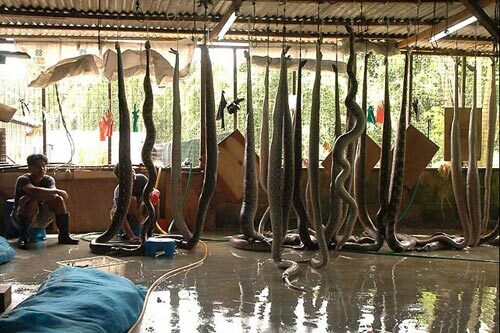 But do you know how exotic leather handbags are made using python skin? 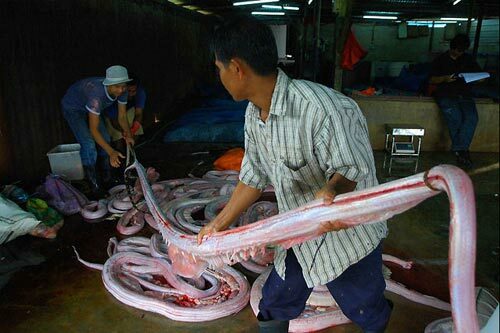 Following are the photos that showing the process of making exotic leather handbags using python skins.